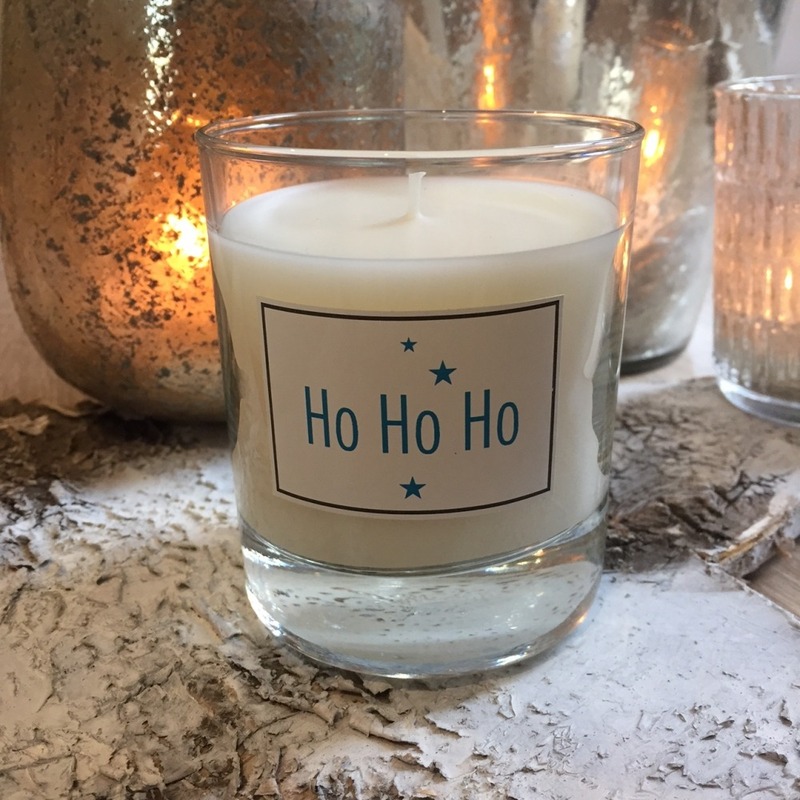 This candle, hand poured in England, is of the highest quality. It burns beautifully for approximately 40 hours and is presented in clear glass with a bespoke label. 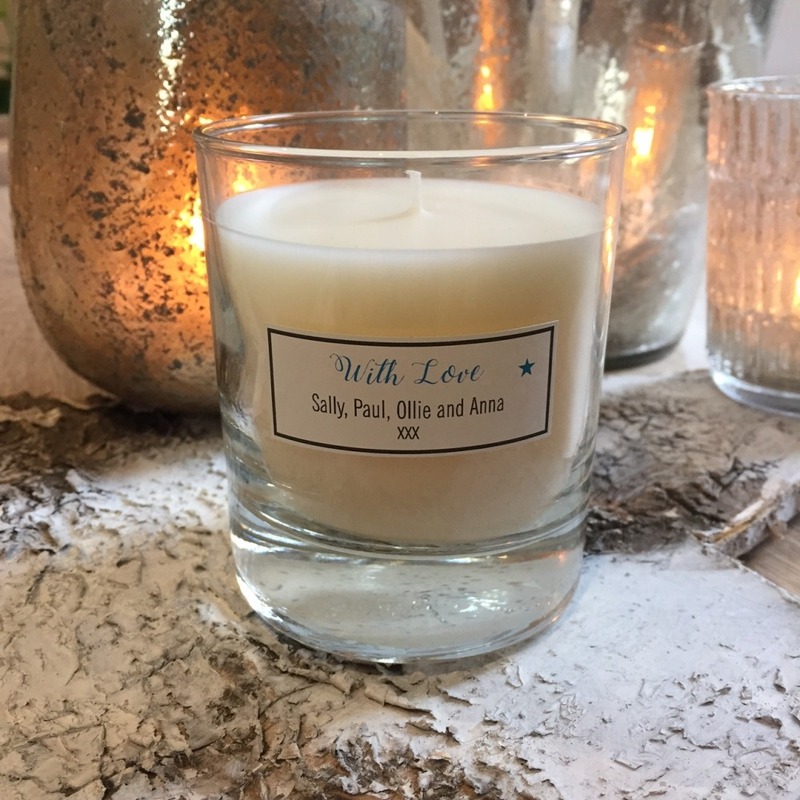 There are five fragrances to choose from and a selection of words and greetings for the bespoke label. The label on the front of the candle will read Ho Ho Ho, there is a label on the back for you to write a personalised message, making a very special gift. 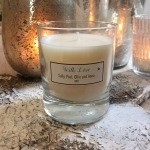 Lemon Grass and Verbena is a fresh and uplifting lemongrass scented candle, with soft verbena blended with notes of melon, lime rose and jasmine. Green Fig and Ginger candle is a wild hispanic green fig with notes of aromatic ginger and a fresh citrus accourd on a warm woody musky base. Grapefruit is a juicy zesty grapefruit with sparkling notes of lemon and lime and a hint of exotic physallis. Celebration is a sparkling scent inspired by vintage champagne, with notes of strawberries and jasmine on a creamy vanilla and tonka bean base. Please let us know if you have a special greeting or request – we are always happy to try and help!